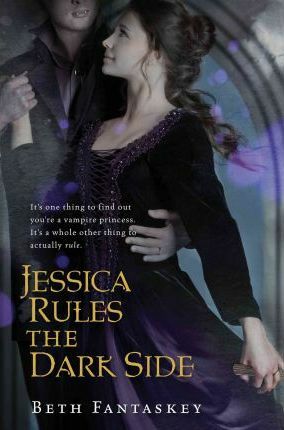 The highly anticipated sequel to "Jessica s Guide to Dating on the Dark Side. " It s one thing to find out you re a vampire princess. It s a whole other thing to actually rule. Newly married Jessica Packwood is having a hard enough time feeling regal with her husband, Lucius, at her side. But when evidence in the murder of a powerful elder points to Lucius, sending him into solitary confinement, Jessica is suddenly on her own. Determined to clear her husband s name, Jessica launches into a full-scale investigation, but hallucinations and nightmares of betrayal keep getting in her way. Jessica knows that with no blood to drink, Lucius s time is running out. Can she figure out who the real killer is and whom she can trust before it s too late? ." "Will keep teens riveted until the last page is turned." --"VOYA" "Fantaskey s grasp of teen obsessions and realistic dialogue will keep readers satisfied." --"Booklist ""
Beth Fantaskeylives in rural Pennslyvania with her husband and two daughters. She is the author of "Jessica's Guide to Dating on the Dark Side "and"Jekel Loves Hyde. "Visit her website at www.bethfantaskey.com. "